Just a short note for any new or current students attending York St John University or the University of York this academic year. Come alone or bring a friend, as a one off or make it a habit. We are very close to the St John Central accommodation, and convenient for buses from the UoY campus. There aren’t currently many students who regularly come to Central Methodist Church, but that doesn’t mean you wouldn’t be very welcome. Most of our worship is traditional in style, and normally happens at 10:30am and 6:30pm every Sunday. We always have refreshments and chat after the service. 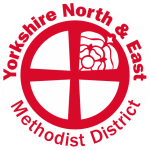 Keep an eye on @YorkChurch or our Facebook page for regular updates. You can also browse the full preaching plan. Use comments below if you’d like to get in touch. This entry was posted in Uncategorized by Ian Miller. Bookmark the permalink.